Although Team Penske’s Simon Pagenaud was the official fast timer holder on Fast Friday, the day before the start of time trials for the 99th running of the Indianapolis 500, Chip Ganassi Racing appears to have a leg up in a more concerning category with single car, four-lap efforts in play. Both Scott Dixon and Sage Karam managed to clear the magic 230 MPH barrier without the aid of a draft on Friday, and while Pagenaud was fastest overall at 230.69 MPH, he was only able to pull out a 229.9 MPH effort without the aid of a draft. In racing terms, a non-tow lap at the Indianapolis Motor Speedway is performed if the closest car ahead of the concerning car is six seconds or more ahead. 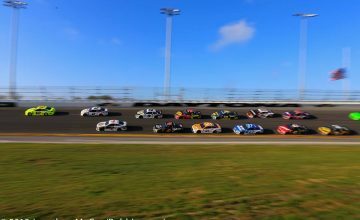 Due to the wind disturbance caused by the cars regardless of position on the track, it is possible to gain an edge from as far back as three-quarters of a straightaway behind on the 2.5 mile oval layout. So although six drivers managed laps over 230 on Fast Friday, only Dixon, Karam, and Team Penske’s Will Power were able to do so on their own. The greatest example of this dispersion to being in the draft and in the clear was from Andretti Autosport’s Marco Andretti, who was able to clear 230 MPH with the help of a draft, but was struggling just to post a 228 MPH lap on his own. While Chevrolet looks strong, the best Honda threat for the top nine Pole Day Shootout this weekend could come from of its one smallest teams. 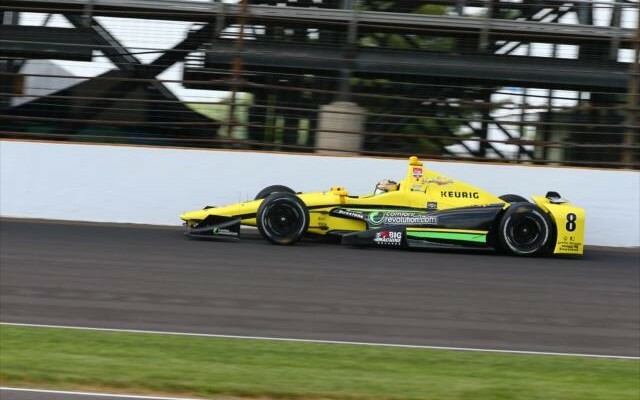 2015 Indy 500 Rookie of the Year candidate Gabby Chaves was fourth fastest on the non-tow lap list, posting a run just under 230 MPH for Bryan Herta Autosport. The 2011 Indianapolis 500 winning team is no stranger to success in time trial mode at the Indianapolis Motor Speedway. Alex Tagliani qualified as the fastest Honda in the field in 2013, while Jack Hawksworth cleared the 230 MPH barrier last year to lineup 13th, whilst just missing out on the Fast Nine Shootout the day before. 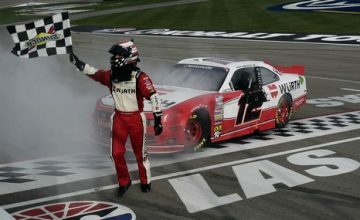 While both Ganassi and Team Penske are in good position ahead of the start of Saturday’s placement phase, some teams are not looking as good. One of those is CFH Racing, which features the two-time defending Verizon P1 Award winner Ed Carpenter. Although the team showed pace from its three car entry for most of the week prior, the accident involving teammate Josef Newgarden on Thursday and the increase in boost pressure prior to Fast Friday have left the squad in pursuit mode, rather than contending mode. Both Carpenter and teammate J.R. Hildebrand were unable to exceed 228.5 MPH without help, while Newgarden back on the track for the first since the accident was only in the 225 MPH range on his own. Currently among the 34-car entry list battling for 33 spots on the starting grid, the drivers in the most danger of missing the show are Pippa Mann and Buddy Lazier. Mann, driving the Komen For The Cure Honda for Dale Coyne Racing, returned to the track for the first time since her accident on Wednesday afternoon, and managed only a few laps before the track closing at 6 p.m., but did reach 225 MPH in limited running. Lazier, who won the 1996 race despite suffering from multiple back fractures, has had very limited running on both Thursday and Friday and so far has run no faster than 216 MPH. With rain a possible concern on both Saturday and Sunday, track time to find extra pace for both could be limited. The qualifying draw is set for the start of action at 11 a.m. eastern time on Saturday, with Dale Coyne Racing’s Carlos Huertas the first likely to make an attempt. Scott Dixon also drew an early number and could set a standard early. Stay tuned to Rubbings Racing for full coverage of time trials, rain or shine throughout the weekend.